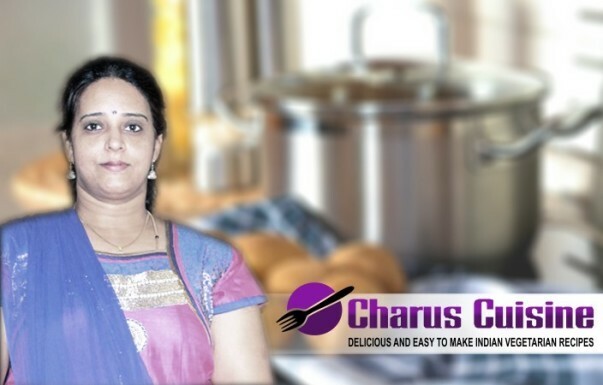 “Inspired by Tarla Dalal, in her college days, Charu started her culinary journey with few simple recipes. Sometimes a passion is lost midst the corporate job responsibilities but the desire to follow her heart kept burning and eventually in 2009 she left her well paid bank job to calculate the ingredients and multiply her skill and thus was born Charu’s Cuisine. As said it’s never too late to start off and a thousand miles journey starts with a single step, Charu got inspired by her mother-in-law and started learning big and small bytes of cooking. Sometimes it’s good to say “I Quit” and that’s what Charu did as she started experimenting with food which she always longed for. She was mainly inspired by her mom, mom-in-law and professional chefs and never hesitated to look various sites for developing her culinary skill. Since she is from a traditional Kannada Madhwa family, she wanted to preserve the lost and traditional recipes which would be used as the reference for posterity. 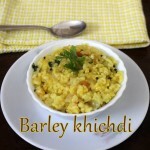 She started posting and preserving these recipes with her blog www.charuscuisine.com and got a tremendous response from the viewer’s requesting to upload more such traditional recipes. Soon what emerged as a hobby became the purpose of her life and there has been no looking back since then. 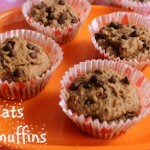 She has more than 300 vegetarian recipes posted till date. 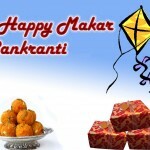 She is currently staying in Mangalore and loves to host family and friends. The humble journey which begin with making a Maharastrian style poha during her 1st year in college and the same was appreciated by her family has a great story of cuisine discovery. Check out her favorite recipes udupi sambar, udupi rasam or mallige idli.